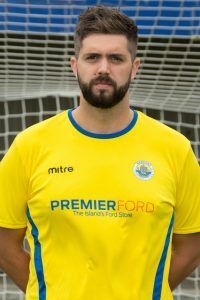 Jared returns to Newport having signed for Cowes Sports FC at the beginning of the 2016/17 season. A player with experience in the Wessex Premier Division who poses a real threat to his oppositions defence due to his strength, quality with his touch on the ball and the ability to score goals. Jared is a real target on the pitch and can be relied upon to put the ball in the back of the net.